Fetch My Guest, the only autonomous marketing automation platform that gives the professional vacation rental host complete control of their brand, marketing and guest life cycle, announce the addition of Beachcombers NW to the Fetch Distribution Network. The network is comprised of transparent vacation rental listing sites that give the vacation rental traveler the peace of mind that they will receive the best price, service and exceptional value when they #BookDirect. The Fetch My Guest marketing automation platform gives vacation rental hosts the ability to continue to work with the OTAs and transparent sites like Beachcombers NW, without giving up their brand independence. The traveler benefits by saving hundreds of dollars by booking direct and speaking with the local experts that make for a successful vacation rental experience. Beachcombers NW joins Vacation Soup and Fetchmyvr in connecting vacation rental travelers with world class vacation rental brands. Beachcombers NW has been connecting northwest travelers with Oregon & Washington Coast property owners and managers since 2001, most recently adding the San Juan Islands to their destinations. Beachcombers NW is comprised of local Oregonians providing personal help and assistance to vacation rental travelers, owners and managers alike! Beachcombers NW has the unique capability to search and sort popular categories and amenities by city or entire regions. Beachcombers NW visitor traffic has increased 75% in January due to direct booking capabilities and top Google placements! Beachcombers NW is dedicated to keeping communication between owners/managers and the traveler open and personal for the best vacation experience. “We have heard nothing but positive comments from our professional vacation rental hosts who list with Beachcombers NW. Cindi and her team have an impressive track record of providing value to vacation rental travelers visiting the beautiful Oregon and Washington Coastal communities, which now includes the San Juan Islands. Cindi understands the value the Fetch My Guest technology will bring to her clients and to Beachcombers NW. By providing an independent marketing platform that protects and extends her client’s brands and provides insights that shows the value of Beachcomber NW. We look forward to working with Cindi as we roll out some exciting traveler facing initiatives that will benefit our community ” said Vince Perez, CEO of Fetch My Guest. “We are excited to team up with Fetch My Guest, who is passionate about helping owners and property managers succeed in these changing times. Fetch My Guest’s amazing platform will complement our advertising by tracking our lead referrals, capturing guest contact information and displaying our advertising value all in one place. The powerful Fetch marketing technology will reward our advertisers with more direct bookings!” said Cindi Brooks, CEO of Beachcombers NW. 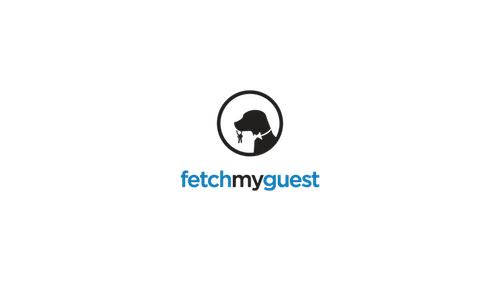 Fetch My Guest is the only autonomous marketing automation platform that gives the professional vacation rental host complete control of their brand, marketing and guest life cycle, resulting in more direct bookings while dramatically reducing marketing costs. Fetch My GuestIntelligent Marketing Automation for the Vacation Rental Professionals Serving Washington , Oregon Coastal Communities and the San Juan Islands.